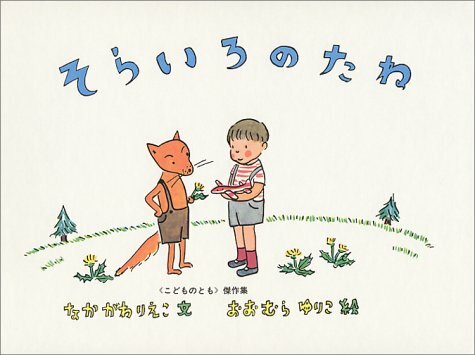 This page contains a listing of other books related to Hayao MIYAZAKI and Isao TAKAHATA that don't really fit in on the other book pages. You can order these books through anime import stores listed in our Shopping Guide, though some of these titles may be out of print. If you have additional information on any of these titles, information on any titles we missed, or scans of any of the covers, please let us know. A critical review of Japanese post-war democracy through the Japanese popular culture, including "Nausicaä" and "Omohide Poroporo". Sumi Shimamoto, the voice actress of Clarisse and Nausicaa, talks with Miyazaki. Hayao MIYAZAKI, Isao TAKAHATA, et al. Miyazaki criticizes the current situation of Japanese animation. Hardcover, 19x27cm, 27 pages, all color. 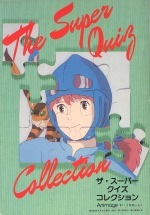 Paperback, 76 pages, included free with the September 1987 Animage. 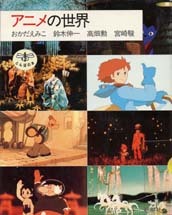 Includes many different characters from various anime shows, including Nausicaä, Laputa, and more.